It’s a tale as old as time: wrestling villain buys brand-new car, wrestling hero destroys new car to the delight of fans and horror of aforementioned villain. While any follower of WWE can attest to seeing their fair share of cars getting wrecked in all their years of fandom, no one has ever seen anything quite like what went down on Monday night. 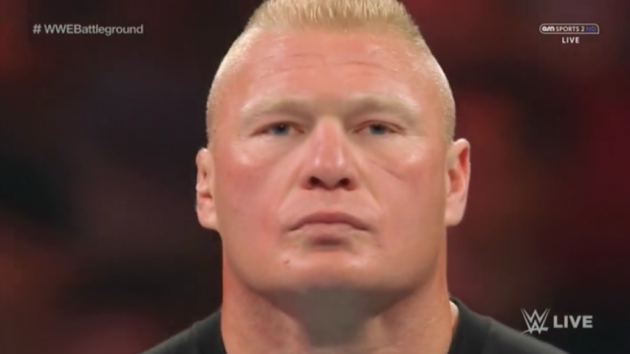 Of course, wrestling hasn’t quite seen anyone like Brock Lesnar, so this makes sense enough. 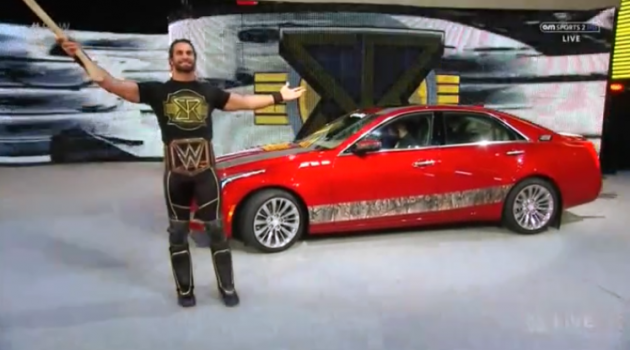 Picking up from where we left off last week, WWE World Heavyweight Champion Seth Rollins had rewarded his security team of Joey Mercury and Jamie Noble (aka J&J Security) with a 2015 Cadillac CTS for assisting him in a beatdown of the former UFC World Heavyweight Champion/current absolute monster. Because Seth is a heel, he also told them that he had bought them the fancier and faster V-sport model when he had actually only purchased the 3.6-liter Luxury model. What a jerk. 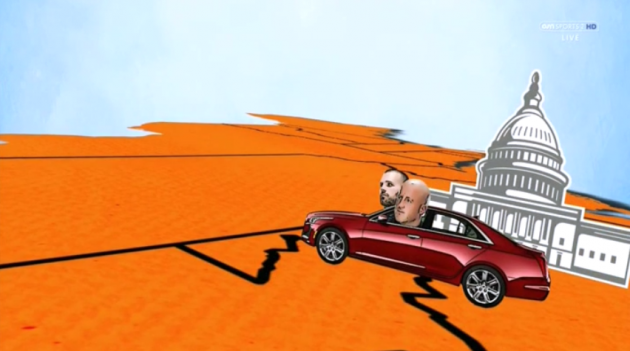 But that’s neither here nor there, because we all know that this car was here for one reason and one reason only: to get dismantled by Brock Lesnar. And, boy, did it ever get dismantled by Brock Lesnar. Oh boy me and Joey have had so much fun in this car!!!!! # best time ever!!! # J&J got game!!!! Oh, the pangs of guilt for the destruction yet to come. 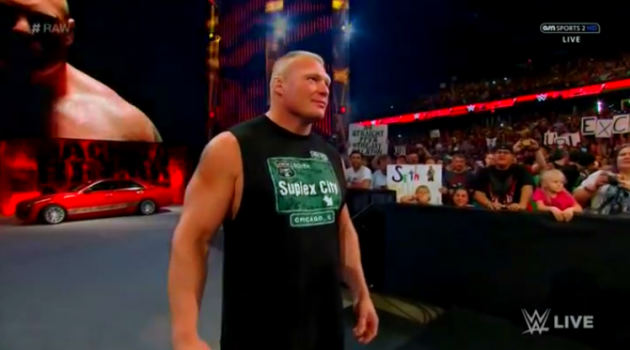 At the beginning of the show, Lesnar’s advocate, Paul Heyman, came out to address Seth Rollins and promised violent retribution from the “Night-Mayor of Suplex City.” He said that Rollins had been guilty of breaking the 11th Commandment: “Thou shalt not intentionally provoke the beast Brock Lesnar.” He promised that Lesnar would reclaim his WWE World Heavyweight Championship in a little under two weeks’ time at WWE Battleground, but that the beatings and the suplexes would commence that very evening. And so they did. 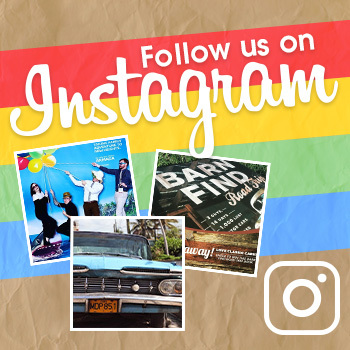 But first! 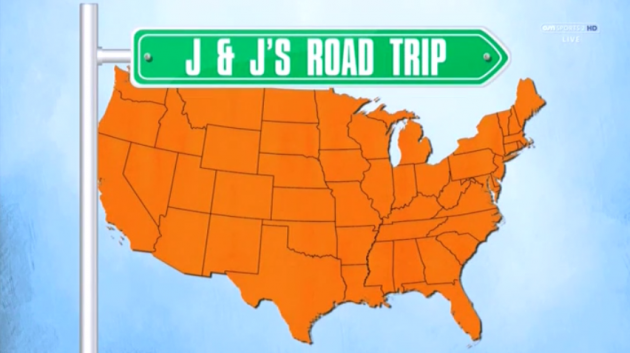 Just to reeeeally foreshadow the doom that would be visited upon the 2015 Cadillac CTS, we got a glimpse at J&J’s Road Trip. 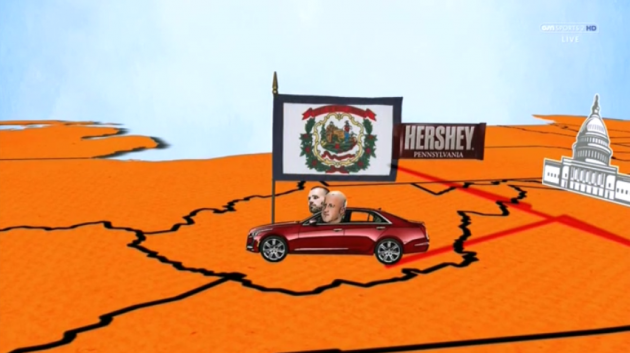 They began in Washington, DC… …headed to Hershey, PA… ….down to Virginia… …up to West Virginia… …before finally arriving in Chicago. I wonder what the next destination would be? Perhaps a fictional city named after a wrestling hold? To reeeeeeaaallllyyy hammer in that this Cadillac was getting wrecked later on, we were treated to a brief vignette of J&J pulling up outside of Wrigley Field. Because they’re heels, they talked about how much of a dump it is and how the Cubs don’t win very many games there. The crowd booed accordingly, because how dare these bad guys speak ill of the home team. This segment was still better than half the matches on the show. In an act of complete hubris/stupidity, Noble and Mercury ran at Lesnar to defend the honor of their beloved automobile. Their prize: Lesnar “broke” Noble’s arm with a Kimura lock, and then belly-to-belly suplexed Mercury onto the hood of the car. I’ll repeat this in all caps for the appropriate amount of emphasis: BROCK LESNAR BELLY-TO-BELLY SUPLEXED ANOTHER GROWN MAN ONTO THE HOOD OF A CAR. At this point, the Cadillac must have played dead, because Lesnar gave up trying to kill it and chased after Rollins, who fled the scene. The segment ended with Brock standing tall in the ring and hoisting the WWE World Heavyweight Championship belt high above his head. This is absolute must-see TV. Beautiful, beautiful destruction. The only thing better on this show was the main event pitting John Cena against Cesaro for the United States Championship. Seriously, if you’ve always been curious about what makes wrestling great, Cesaro and Cena have the answer. And for it to have one-upped the absolute destruction of a Cadillac at the hands of a living, breathing monster, it had to have been fantastic.